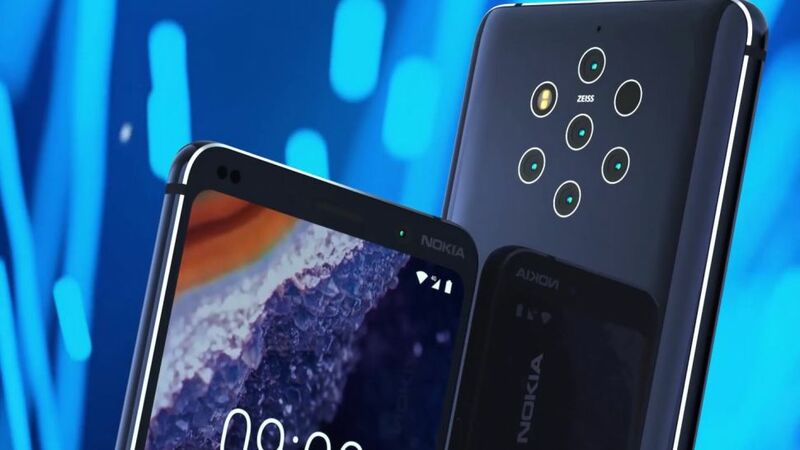 Nokia 9 PureView has been subjected to numerous leaks and rumors from the past couple of months. While it is speculated that HMD Global will announce the phone during its Mobile World Congress (MWC) 2019 press event, a new leak has revealed key design details of the upcoming smartphone. These are some new press renders of the much-awaited phone which reveals that the Nokia 9 PureView will feature an 18:9 aspect ratio display. Bezels are present both on the top and bottom of the display housing the front-facing camera, earpiece and a set of sensors with the Nokia logo on the extreme right. Under the hood, the phone could be powered by top-of-the-line Qualcomm Snapdragon 845 with 6GB of RAM and 128GB of storage (expandable up to 512GB). On the front, there's a 12MP camera for selfies and powering the whole setup is a 4,150 mAh battery which supports both wireless and fast charging.